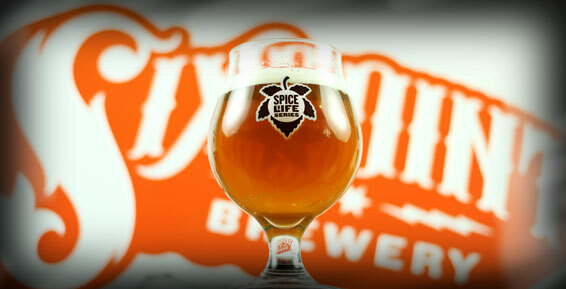 The 2013-14 Spice of Life calendar kicks off this week with Galaxy, a bright, juicy and aromatic hop grown in Australia and New Zealand. Last month’s Spice of Life was Glacier – a richly complex hop of English and German origins. It was earthy, herbal, woody, and gently evocative of fruit and citrus. Very European in style, it was all about subtlety and complexity. The Galaxy represents a “New World” hop character- the potent aroma hits your nose well before you can take your first sip. Brazen passionfruit, mango and papaya come across in the nose and palate in waves. A pleasant, dry finish and light, clean malt bill make this hop-forward brew quite sessionable as well. Look for it around New York City and beyond starting today. We even gave the new Instagram video feature a try – check out a healthy pour here.